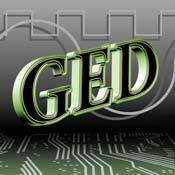 GED offers a wide variety of discrete quartz crystal elements from 1MHz to 200MHz. Crystal products can be housed into different packages - through hole and surface mount. GED can provide quartz thickness monitor crystals. GED manufactures 14-pin DIP, 8-pin DIP, surface mount -9x14mm ceramic package and 5x7mm ceramic package in all logic levels. GED designed a very low frequency oscillator from 50Hz to 2MHz HCMOS/TTL output. Crystal Quartz Oscillator is a circuit using an active element for example- transistor or an IC, quartz crystal and passive devices so arranged and configured so as to create a positive feedback through the crystal to cause it to oscillate. The oscillations of the crystal create a frequency that is in the case of AT cut crystal dependent upon the crystal thickness . The active elements determine to a great degree the output logic level which could be TTL, CMOS, ECL. GED offers VCXOs in a wide variety of packages –14 pin DIP and 8-pin DIP thru-hole and surface mount ceramic packages in 9x14mm and 5x7mm. Voltage Controlled Crystal Oscillator (VCXO) is a crystal oscillator whose frequency can be tuned by a control voltage on one of the oscillator package pins as designated. This voltage can be used to modulate the frequency up to a predetermined rate depending on specification. Typical control voltages can vary from 0-3V or 0-5V. Temperature Compensated Crystal Oscillator (TCXO) is a crystal control oscillator whose frequency is maintained to a very high degree of accuracy over the temp range specify by the customer typically –20 to 70C and with stabilities down to typically 1-3ppm. The freq of the crystal is held relatively constant by the changing of capacitance in the crystal path over temp. As the crystal frequency increases the capacitance compensation circuit will bring it towards zero PPM and conversely as the frequency decreases the capacitance compensation circuit will again bring it towards zero PPM. Oven Controlled Crystal oscillator (OCXO) is used where extremely small variations of frequency are required typically below 0.5ppm over specified temp range typically -20°C to 70°C. The frequency of the oscillator is stabilize by a heating circuit that will elevate the temp of the crystal and other critical elements to a temperature higher than the highest specified temperature by approx 10 –15 deg i.e. an oscillator to operate at 0-70°C will have a heating circuit that will maintain the constant temp at 80-85C. Frequency synthesizers are phase-locked user-controllable frequency sources. GED offers a broad product line of frequency synthesizers including multi-loop PLL, DDS and multiple output synthesizers. This family of synthesizers can be electonically or manually controlled. A broad variety of packages are available including PCB modules, connectorized or surface mount. GED has just introduced a portable signal generator ranging from 1 to 2 GHz. The generator is readily controlled by the user via PC USB interface using proprietary software. Amplitude levels can also be programmed via the PC.